Of all the different exterior siding choices available today, vinyl siding otherwise called cladding stand out for the excellent value they offer. This material sheds moisture rather than absorbing it. It won’t support mold or mildew; nor will it succumb to moisture damage. Vinyl cladding is designed to look good for many years, retaining its original color despite extreme exposure to the elements. It also delivers this impressive performance strength, and reliable protection without requiring any maintenance. 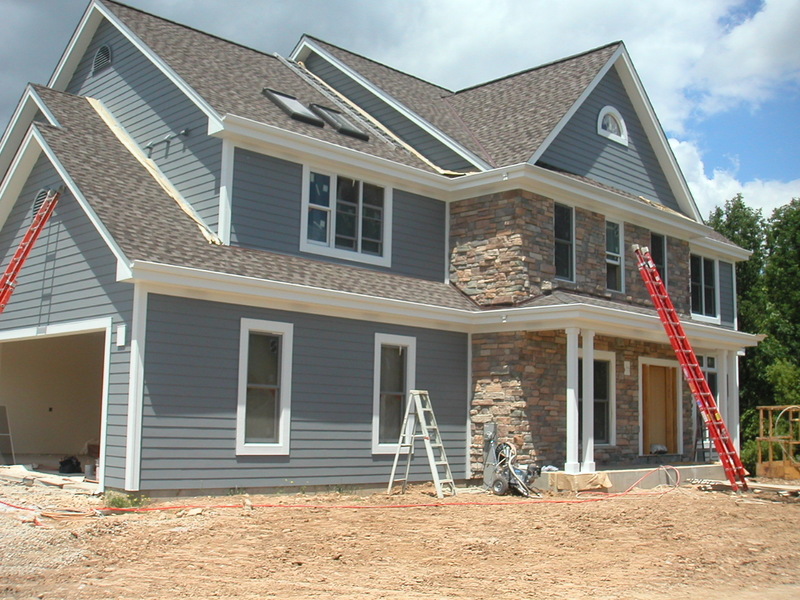 Are you looking for vinyl siding services TSR are your local construction company who install quality vinyl siding. We install new, repair or replace sideing that may have been damaged and need to be replaced? Of course exterior cladding has to look good it also has a vitally important job to perform by protecting a home from the elements. With the ability to withstand high winds (certified up to 110 mph or higher) and a composition that resists heat, cold and moisture, vinyl siding retains its great looks over time. Vinyl siding never needs paint. The only maintenance it will need is a simple wash with a soft cloth and garden hose to keep it looking great, a feature today’s strapped-for-time homeowners really appreciate! Unlike some other exterior cladding, vinyl cladding provides exceptional rainscreening performance that reduces accumulation of water that can reach the underlying water-resistive barrier. Contact TRS we are your A+ BBB Rated Oklahoma roofing, remodeling and construction experts for all your cladding consultation and quote.